We are committed to delivering the highest quality of service. Our Resort provides spacious suites for your pet with comfortable bedding, pleasing amenities, and lots of love! Your loved one will be pampered with our attention to details. 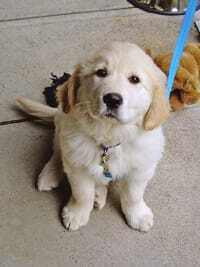 Your dog will get at least three potty breaks as well and plenty of playtime, which is included! Our guests are always supervised, and our staff makes sure this is a fun experience! If your pet is a picky eater. Not a problem. We'll take time to get your pet acclimated to their new environment. Keeping your pet healthy while you're on vacation is our focus. 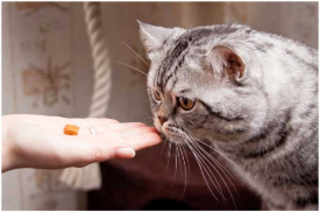 We'll even hand feed your pet to ensure his nutrition. 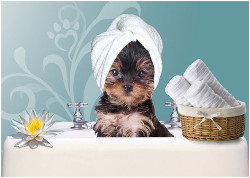 You can schedule a spa day for your pet with a bath, mini-groom or full-groom at Milo's Salon & Spa. You can schedule a bath prior to departure so your pet is fresh and clean when you arrive. Schedule a Spa and Play Day today! 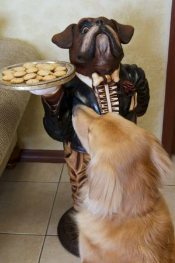 Order a delicious treat from our conceirge for your pet during his/her stay - and we have plenty of homemade treats to choose from! We clean each suite every day, three times a day, and that includes mopping the floor. Our floors are finished as opposed to exposed concrete which may trap odors and bacteria, ensuring a safe and clean environment.